A 14-year-old girl was seriously injured in a car crash that closed Route 3 north in Rockland during the Thursday morning commute. Three other people were injured in the single-car accident near Route 228. A helicopter landed on the road shortly after 8 a.m. to take the teen to Children’s Hospital in Boston. Police said Lane Davy, 41, of Kingston, was driving the 2002 Subaru Forester that crashed. Davy and two teenage girls were taken to South Shore Hospital in Weymouth. A 13-year-old girl was seriously injured in a car crash that closed Route 3 north in Rockland for about an hour during the Thursday morning commute. 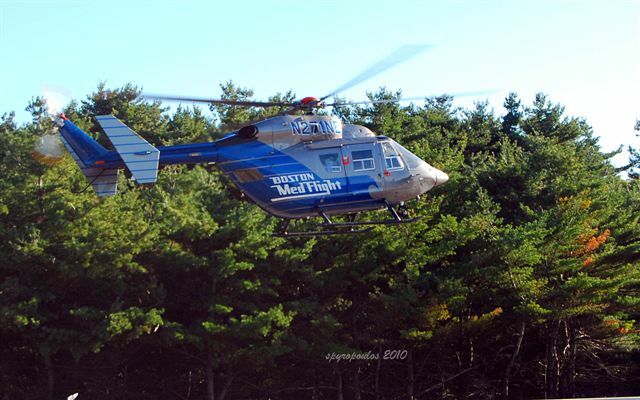 State Police said that a helicopter landed on the road shortly after 8 a.m. to take the teen to a hospital. The road was reopened to traffic shortly before 8:45 a.m. The single-car crash happened near Route 228, causing a major traffic delay.